Power prices have climbed relentlessly over the past decade. The usual justification is that the country needs more power and that the cost of generating this has increased (power stations are expensive to build and maintain). The population is growing and we’re using more electrical technology than ever before – although greater efficiency in lighting and heating products has helped offset some of this demand. New Zealand’s total power use has doubled in the last 30 years. Various governments have taken differing views on the relative proportions that industrial, commercial and residential users should pay for the costs of generating and supplying electricity. So in the decade from 1982 to 1992 average residential power prices rose just 0.6 percent per year in real terms (above inflation) but increased 2.1 percent per year in the following decade. From 2003 to now, they’ve risen by almost 7 percent per year in real terms – that’s even excluding the latest GST rise. And then I did some sleuthing, and found this. Statistics New Zealand, Household Economic Survey: Year ended 30 June 2007, 2007 (online). Ministry of Economic Development, 2008, Schedule of Domestic Electricity Prices: Updated to 15 November 2008, 2008 (online). And then I pulled this up: Our power bill from March. 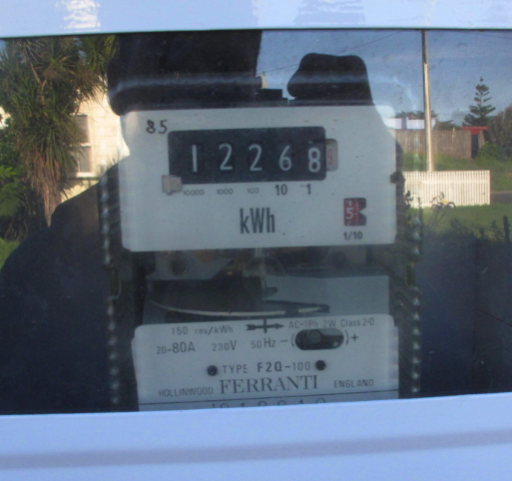 The average Kiwi home uses about 12,000 kilowatt hours (kWh) of electricity per year at a cost of about $2,800. That translates to about 1,000 kWh per month at a cost of $233. Looking at the bill above, we used 47 kWh at a cost of $22.92. We have been tracking our electricity use since we had the power switched on in November. Many days we use less than 1 kWh, but our average is between 1 and 2 kWh. Including the line charge of 38.33 cents per day, we have paid less than $1 per day (at 25.7 cents per kWh) for the last 7 months. And for that 1 dollar we have renovated a house using LOTS of power tools. We also have a refrigerator, toaster, slow cooker, oven, mobile phone, computers, radio, electric jug, etc. The trick is we squeeze as much as possible out of that $1. Regarding being eco, thrifty and hedging against rising energy costs, it only takes simple maths to convince oneself that this information regarding the rate of price rises from the above sources are frightening, especially for those on low incomes. 1) From 2003 to now, they’ve risen by almost 7 percent per year in real terms – that’s even excluding the latest GST rise. These electricity rate rises outpace inflation and wage increases. If energy efficiency and conservation measures are not put in place by households, it will be impossible to keep up. Every dollar spent on improving energy efficiency will pay for itself many times over in savings, and will outperform any bank account or similar investment. We are looking at saving about $2,500 per year from that average Kiwi household use of $2,800. 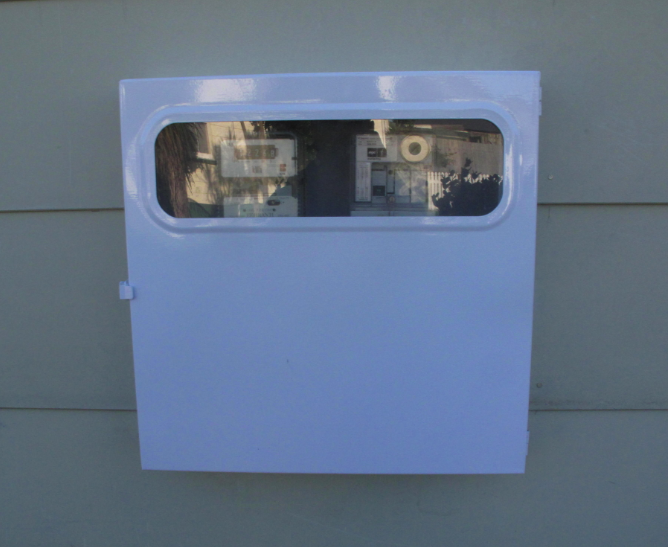 With savings like those, our solar hot water ($3,900) and insulation ($3,100) will pay for itself right quick.